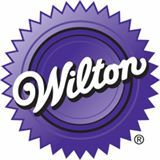 Wilton Enterprises, founded in 1929, is a leader in cake decorating classes & products and bakeware. Offering the industry´s most comprehensive and innovative selection of products, its products are designed to make it easy for anyone to enjoy the thrill of serving something special. Consumers trust Wilton brands such as Performance Pans™, Candy Melts® brand confectionery coating, Cupcakes ´N More® dessert stands etc. to help make celebrations exciting. Along with great products, Wilton’s certified courses & classes have directly, through its International cake decorating school, and indirectly, through retailers, helped hundreds of thousands of people around the world create impressive party cakes. Inventing and testing 000’s of how to projects per year, Wilton are also the leader in consumer inspiration.